Try WebSharper reached an important milestone today: we just released the first bits of on-the-fly typechecking and code completion, and you can now develop F# web snippets, without any installation, online more easily than ever. You don't have to do anything fancy, just start typing and the type checker will guide you, including code completion with Ctrl+Space as you would expect. 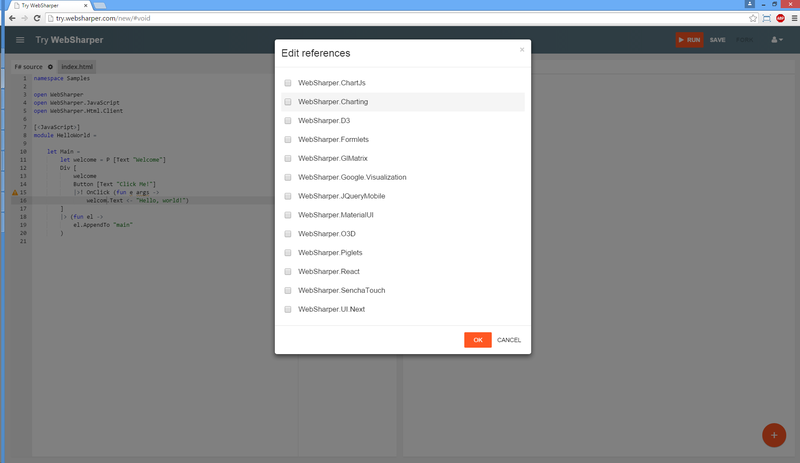 When you are ready to run your snippet, hit Run and you will see your snippet run in the Result panel. 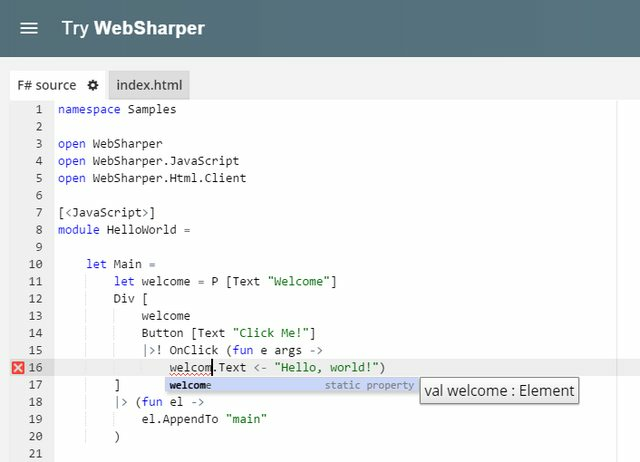 We will add third-party extensions shortly, including a variant of FSharp.Data to enable data-aware snippets that communicate with web services, etc. Even more enhancements will be coming shortly, until then happy coding!